If you are a fan of all things Star Wars and Minecraft this combination of both, is sure to please. Minecraft gamer Grahame, aka Paradise Decay, who freely admits that “somehow Minecraft is taking over my life”. 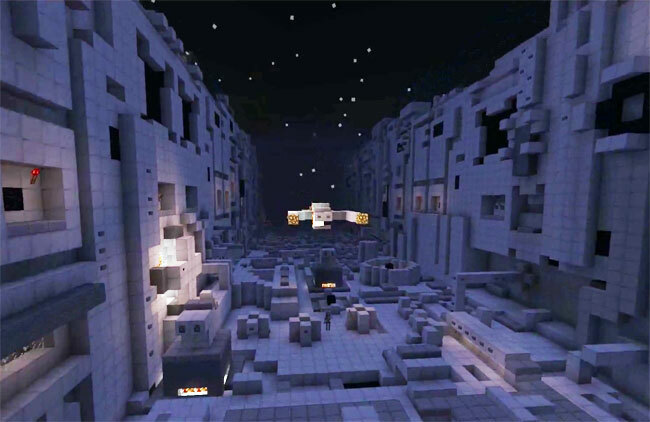 Has put his Minecraft skills to great use and recreated the entire final trench run sequence from the first or fourth Star Wars movie, depending on your views. See the finished sequence after the jump. After completing this amazing Minecraft creation, Grahame has now set his sights on creating a full-blown Star Wars/Minecraft adventure called ‘Rise of the Rebellion’ which is expected to arrive sometime in 2012. Watch the video below for more details.